Fracking is a way of extracting gas from rocks far below the surface of the earth. A mixture of water, sand & chemicals is injected at very high pressure down a borehole. This fractures the rock, allowing shale gas to flow out. The gas is collected on the surface. Why do we want a ban on fracking? Fracking is bad news for local communities and for the environment. Shale gas is terrible news for our climate. Fracking will create more climate-changing gases - and is not compatible with our climate change targets. Shale gas will keep us hooked on fossil fuels, and distract us from the real solutions of the future - energy efficiency and renewable energy. Your energy bills won't go down - the UK Government and fracking companies have acknowledged that household energy bills won't fall as a result of fracking. Job figures are hugely inflated. Using government reports we estimate that at its peak the industry will employ only about 240 people from Wales. And even these mainly low paid jobs will last just a few years. Concentrating on renewable energy and energy efficiency will bring many, many more jobs to Wales. There are uncertain and unacceptable local environmental risks, including water pollution, air pollution and lots of lorry movements. It's massively unpopular. Local fracking moratoriums are already in operation in 6 authorities in Wales. Is yours one of them? 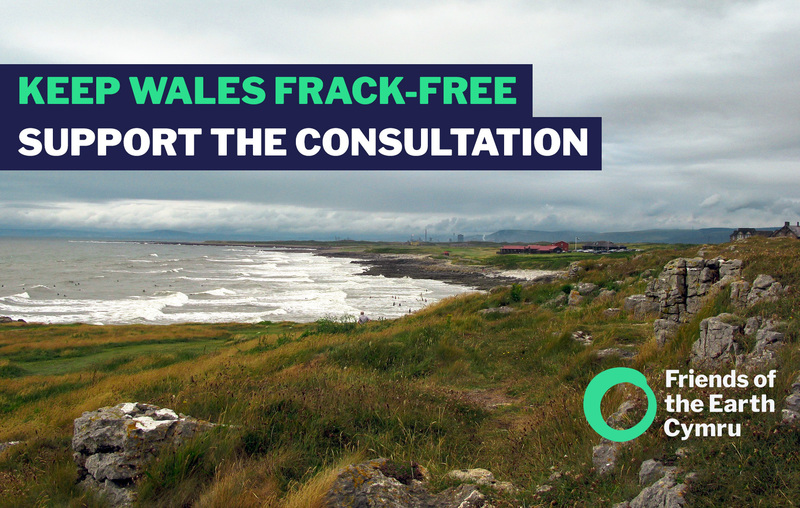 Communities in Wales have made it clear time and again, fracking is not welcome here in Wales.